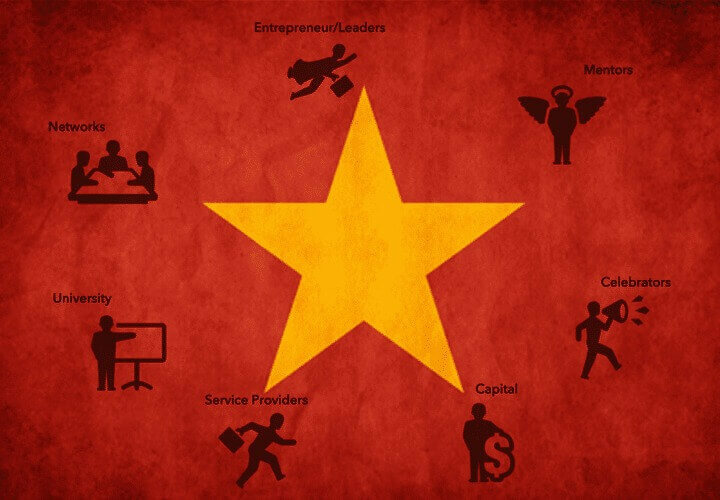 Private equity funds from Asia and around the world are showing a keen interest in Vietnam startups. The country’s long-term growth prospects are improving, according to the Grant Thornton Global Private Equity Report. The report referenced a survey of private equity fund managers and institutional investors. 72% of respondents said they have a positive outlook on the Vietnamese economy. That’s the highest number in two years. In addition, 84% of those surveyed said that they plan to increase their asset allocation to Vietnam. Private equity, real estate, education, and retail are among the most popular sectors. Business transparency is the most important factor when choosing to invest in Vietnam startups, with 21% selecting this category. Corporate governance was a close second, with 20% of respondents choosing it. The American Chamber of Commerce in Singapore’s annual ASEAN Business Survey also underscores Vietnam’s popularity. It says the most desirable places in Southeast Asia for business expansion are Indonesia, Vietnam, and Myanmar. Furthermore, stocks listed on Vietnam’s two major exchanges in Ho Chi Minh City and Hanoi are hitting record highs almost every year as well. Both public opinion and tangible results are paving the way toward more foreign investment activity in Vietnam. Tiki.vn is one startup company which had success. It focuses on selling books online – similar to Amazon.com’s original concept. They now have 15,000 monthly orders compared to just 20 back in 2012. Renewed optimism by private equity investors come as Vietnam shows an increasing trend of liberalization with regards to its economy. The government recently announced that foreign business and individuals can own freehold property in Vietnam. Despite improvements in the country’s legal framework and steps toward a more open economy, analysts say that Vietnam still faces many issues. Poor infrastructure, rising consumer debt, a weak currency, and corruption make doing business in Vietnam complicated. Vietnam’s economy is still well-positioned for long term growth though. Early investors should reap the best rewards, despite some of the problems listed above.